Yes its that time of year again folks, almost every family wishes for the perfect white Christmas, full of generosity, kindness and celebrations with loved ones, but it is also a time when we often forget to apply basic security principles when they are most required, the sad truth is that not everyone feels this way about the festive season and there are those who will readily take advantage of the relaxed period of December through to the new year potentially causing your Christmas to be filled with distress and despair rather than festive cheer. 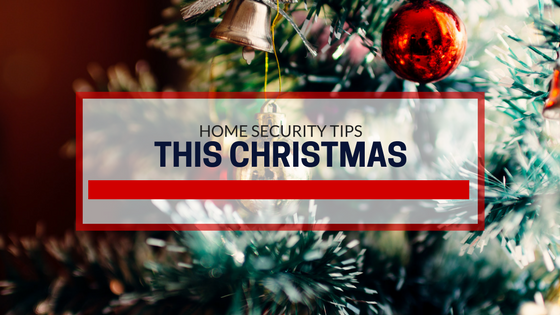 This time of year is also one of the busiest times of year for the majority of households but as you and your family get into the festive spirit, it’s crucial that you stay security aware and do not cut corners with your personal home security. Is Your Home Vulnerable This Christmas? 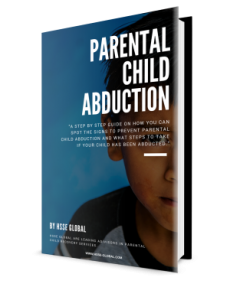 With expensive gifts placed under the Christmas tree for all to see, a majority of homes will be left unattended as families visit relatives and friends. For many homes the christmas tree is the focal point of the festive celebrations, if you walk down any street during christmas you will notice homes with bright twinkling lights in their windows and even going as far as decorating the home externally with bright flashing lights. Remember burglars will seize every opportunity to see what tempting expensive gifts you have left under your tree, they will target homes with inadequate security measures in place or homes that are easily accessible. If criminals do decide to strike there are a few simple security measures you can put in place to deter them from targeting your home in the first instance. Make your home look as if someone is home all of the time by leaving lights on timers coming on and going off at different set times. Do not place any presents under the Christmas tree until the night before Christmas day. If you do have to display presents under the Christmas tree before the due date make sure that when your not at home your curtains are drawn. If possible always leave a car in the driveway, this helps distract a potential burglar when he is making the choice of what home to break into, a burglar walking down a street is more likely to try and have a look through the window of a home with no car outside or in the driveway. Remember to set your house alarms if you have them installed and ensure all windows, doors and gates are secure and always secure your garden shed or outbuilding like you would your home, most garden sheds contain the tools required for a burglar to enter your home. If the worst happens and thieves do break into your home make sure you have placed receipts for your gifts in a safe place so that the gifts cannot simply be returned. Take note of any serial and model numbers of the gifts you have purchased for reference for the police in case they are stolen. After Christmas day make sure that all wrapping paper, empty packages and boxes are disposed of out of sight taking care not to advertise what you have in your home. Again if the worst happens make sure you take out some home insurance so if your home is targeted by burglars you can easily replace the gifts or items that where stolen. 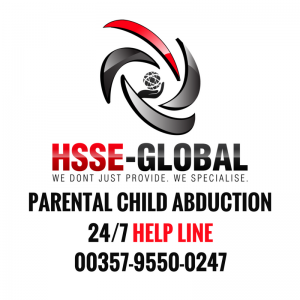 Parental Child Abduction Recovery Services.